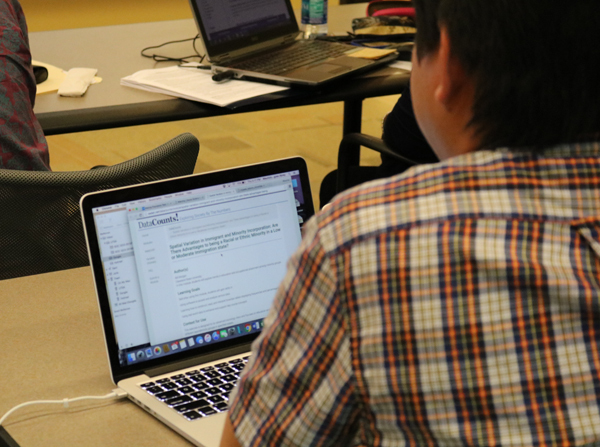 As part of an NICHD funded project, the Social Science Data Analysis Network at the University of Michigan will host a workshop to enable college and university professors to develop class modules using topics from the American Community Survey for courses they will teach during the 2018-19 academic year. The workshop will be held Thursday through Saturday, June 14-16, 2018 in Ann Arbor, Michigan. Why American Community Survey Data? The Census Bureau’s annual American Community Survey (ACS) provides national and localized social, economic, and demographic information that can provide instructors with fresh statistics to support key concepts in such courses as Intro Sociology, Social Problems, Stratification, Gerontology and Aging, Population-Focused Healthcare, and more. The ACS sample of 3 million households annually offers usable statistics that can be tailored to courses at all levels ranging from trend analyses to more analytic approaches, for specific population groups and geographic areas. Workshop participants should come prepared to develop one or more class modules to enrich a course they already teach. 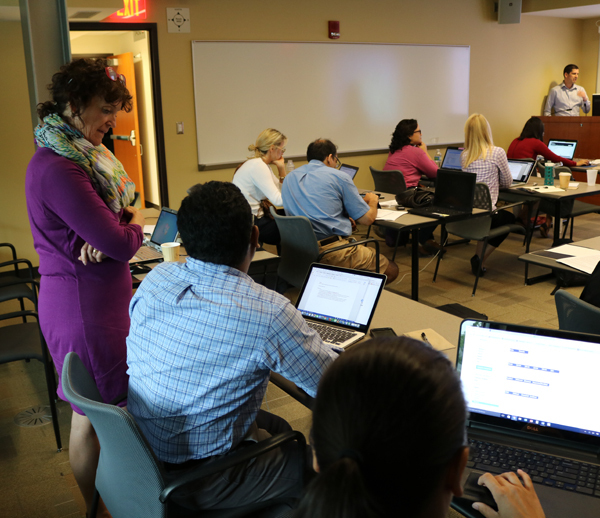 At the workshop, participants will be introduced to the resources of SSDAN in “hands on” training sessions and work with SSDAN staff to develop easy-to-use classroom exercises specific to their own courses. Workshop time will be divided between seminar discussions, practice exploring the SSDAN materials, and working with staff to develop individual exercises. The faculty will include sociologist-demographer William Frey of the Brookings Institution and University of Michigan’s Population Studies Center, Dr. Jill Bouma of Berea College, Dr. Esther Wilder of Lehman College, and Dr. Kathy Rowell of Sinclair Community College.Instructors from all disciplines who teach undergraduate courses in four-year colleges, two-year colleges, or universities, both public and private, are encouraged to apply. Graduate student instructors are also welcome. Primary consideration will be given to applicants who are prepared to develop class exercises from the SSDAN materials and use them in their courses during the academic year subsequent to the workshop. Participants are expected to attend the full workshop at the University of Michigan campus in Ann Arbor from 10AM-6PM on June 14th, 9AM-6PM on June 15th, and 9AM-1PM on June 16th though exact times are subject to change. A certificate of completion will be provided. Travel support, including housing, may be available for out-of-town participants. Additionally, as a requirement of participating, attendees agree to provide feedback in the subsequent year and to create and share through SSDAN a learning exercise using ACS data. For completing these requirements, participants will receive a modest honorarium of $300. Complete and submit application found at http://pips.ssdan.net/pips-2018-summer-workshop-application by May 1, 2018. The application takes approximately 15 to 30 minutes for most to complete. Successful applicants will be notified of their acceptance by mid May. Since 1994, SSDAN has undertaken a number of projects funded by FIPSE, NSF, NIH, and other sources to reduce the “quantitative reasoning gap.” SSDAN resources are designed to provide instructors with courseware, tools and online support that enable them to introduce data analysis modules into early and middle level substantive courses. By collaborating with individuals SSDAN has demonstrated that classroom friendly course modules can infuse quantitative reasoning across the curriculum. It has popularized the use of US Census data for this purpose. Located within the Population Studies Center of the University of Michigan’s Institute for Social Research, SSDAN is known for its expertise in creating resources that simplify analyses of large collections of data from the decennial US Census and American Community Survey, providing descriptions of demographic groups and geographic areas that are relevant to a variety of courses and disciplines.